Terry Gydesen » Voting fast in some places, very long in others. Voting fast in some places, very long in others. When I cast my vote in NE Minneapolis this morning around 10 am, I was #517 who voted. It took about 5 minutes in total to get my ballot and slip it in to the voting machine. 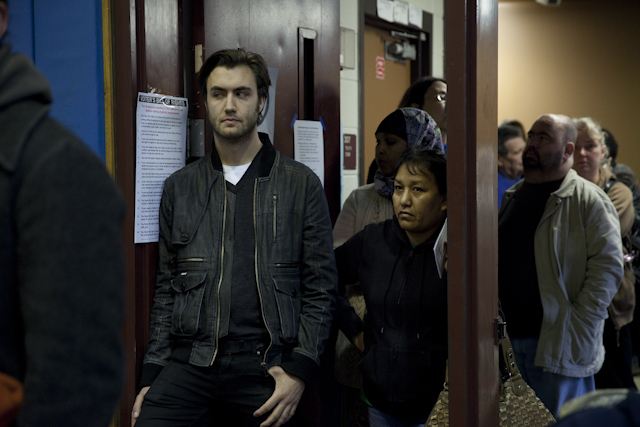 I received a call from a friend waiting in a very long line in south Minneapolis at the Green Community Center. The line snaked through the building, sometimes going out the door. Her wait was over an hour. I looked at my twitter feed and someone had just posted that there was no waiting in St. Louis Park to vote. Why such a difference across the city. 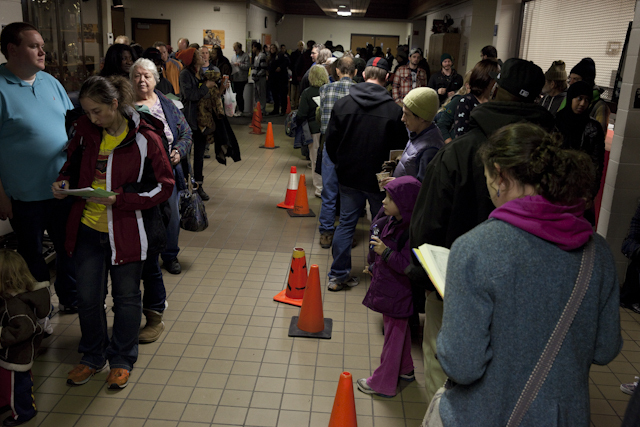 The inner city and poor neighborhoods seem to always have the longest lines. When I stopped in at the Obama HQ, Phyllis Kahn was lamenting about a highrise in the Seward neighborhood. 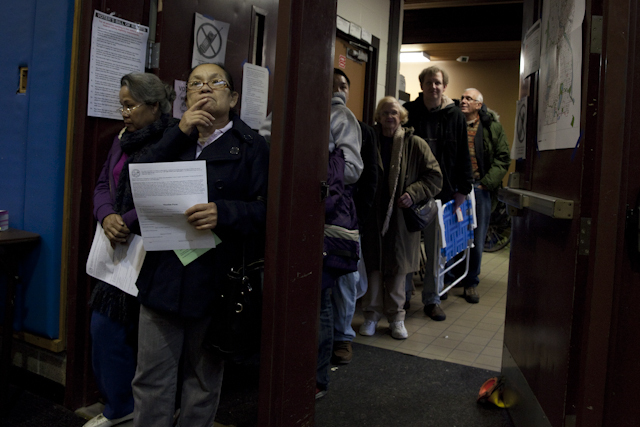 It is a polling place with a large population living in that building of mostly immigrants. In past years they have always voted in the building where they lived. Not this year. 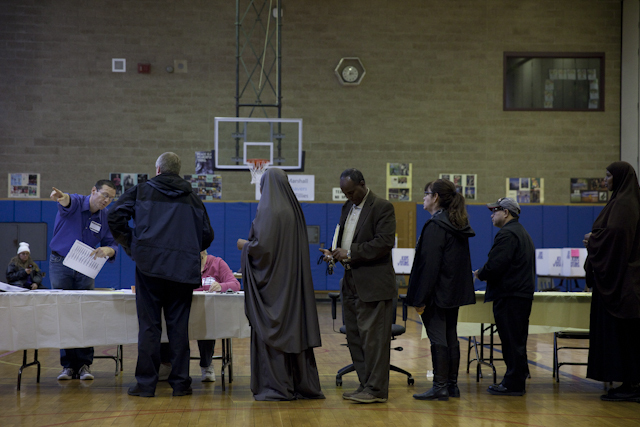 Although it’s still a polling place, it’s not their polling place. They have to go someplace else in their district to cast their ballot. How can that be??????? We all have the right to vote, but for some it’s made harder than seems necessary.